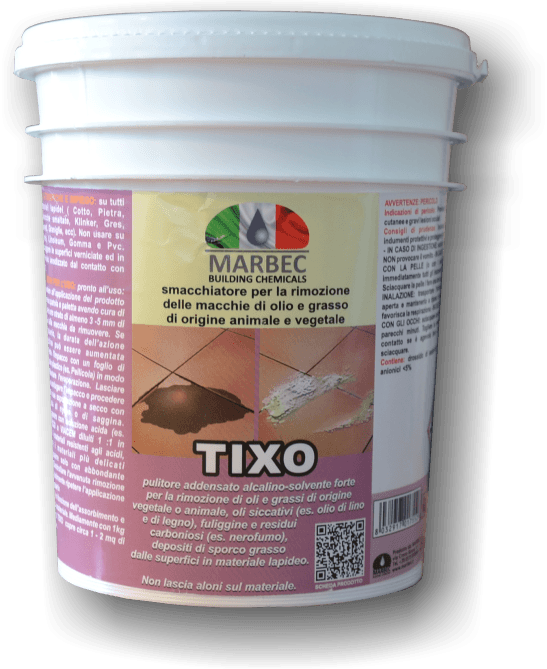 How to intervene on cement tiles floor to better recover the material and ensure a protection that lasts over time? This is how the professionals of the C.T.R. worked. 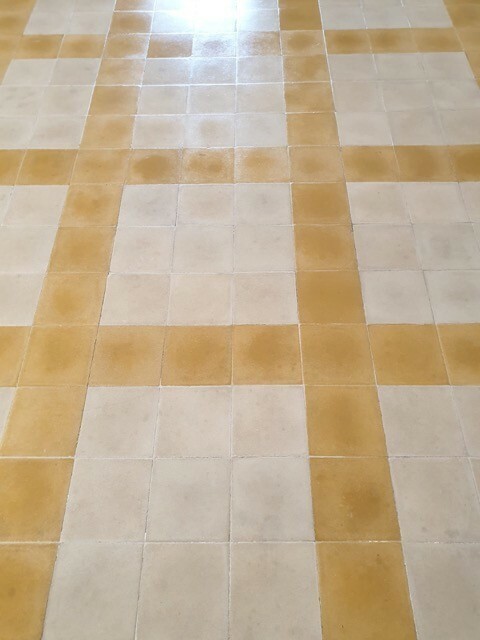 In the second part of the most beautiful article of the month, we will discover an intense treatment to protect the cement tiles from stains and wear caused by the passage of time. The most beautiful work of January brought us to Fiumana di Predappio, in the heart of Emilia Romagna, making us discover, in addition to a dream place, an interesting intervention on a prestigious floor in cement tiles. 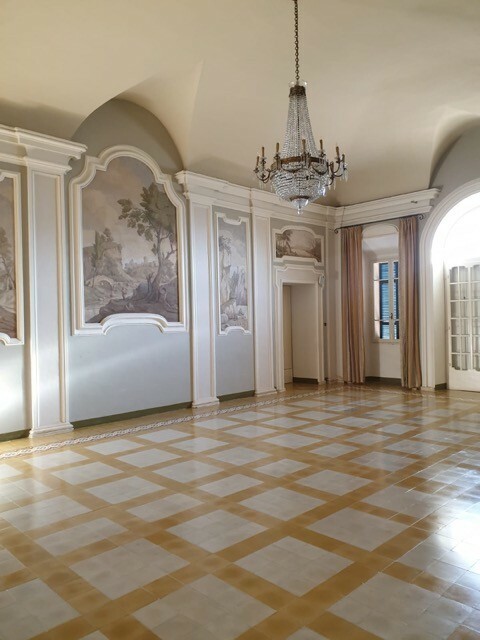 That’s right, a room entirely covered with old cement tiles that is located inside villa Pandolfa, an Italian home of history of excellence, a real heritage of culture and art. During the first phase of work, we were able to observe how challenging the restoration and cleaning work was carried out by the talented professionals of the C.T.R. BY SABBATINI MAURO of CISTERNA DI LATINA, on this very particular coating, composed of small tiles made of colored cement. In fact, the company was called to restore these tiles called cement tiles, which looked very damaged. The cement tiles appeared stained with oil and signs of the time, before the intervention, predominated over the entire surface compromising its beauty and elegance. This particular material, in fact, in addition to being aesthetically wonderful, is characterized by a particular delicacy that derives from its essential composition. The colored cement, which makes up the large part of the tile, being a very absorbent material, both after laying or restoration, requires a specific protective and stain-resistant treatment that keeps it in the best possible way and for a long time. If we think that today this type of covering is increasingly chosen mainly to decorate rooms such as the bathroom and the kitchen that, as we know, are the areas of the house most used and subject to early wear and easy stains, a treatment to ensure careful cleaning and protection against stains becomes essential. 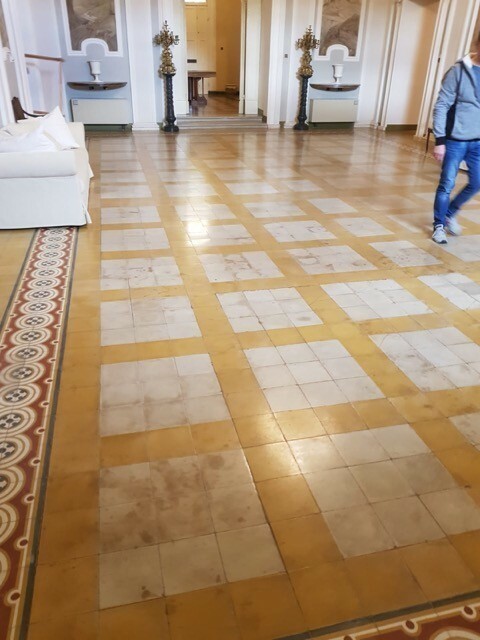 This is why the skilled craftsmen of the company, even on the pavement of the villa Pandolfina, decided after the restoration and cleaning, to carry out an intensive treatment on the cement tiles. Let’s find out and follow the interesting steps. Once the deep cleaning is finished, a fundamental step before carrying out the treatment on the cement tiles is that of drying. In fact, after washing and before being treated again, the cement tiles must breathe and eliminate all the humidity. An early treatment could block this evaporation and create annoying and indelible spots of moisture on the treated surface. But our skilled artisans know it very well, and they wanted to make sure, waiting for all the necessary time before starting the new intervention. Once dry, to unify the surface and give it a “polished” appearance, the company has carried out, with the aid of micro-diamond discs, a superhoning on all the cement tiles. If you want, through honing it is even possible to achieve complete polishing of the tiles. As a second step, to accentuate the color of the tile and to protect it from wear, an intense and professional product was applied with a soft cloth all over the floor à TON 25: a water-based oil and water repellent for absorbing stone materials. Before the drying, the excesses of the product were buffered. TON 25 is a product suitable for stain-resistant anti-degreasing protection on stone, terracotta and absorbent cement agglomerates. It intensifies the color of the material, does not create films and leaves a natural aspect to the material. Let us remember that on this type of floor it is absolutely forbidden to use acid products and solvents, these could ruin the original designs and above all the characteristic color of the cement tiles.